Is this spectral picture of green witch in a south London street proof of the supernatural? But it isn't done with Photoshop either. 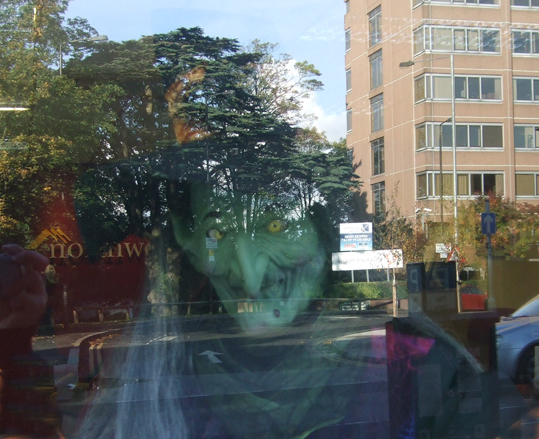 The life-size Halloween figure was in an estate agent's window, and the image of the road and office block were reflected in the glass when I took the photo. It might be old-fashioned trick photography, but I think the effect is rather spooky.